Often times existing equipment can still serve a purpose in a new application. At Simmers our engineering and fabrication teams work together to perform tasks such as respanning exsiting cranes to fit new runways and rebuild aged equipment that may contain obsolete components. 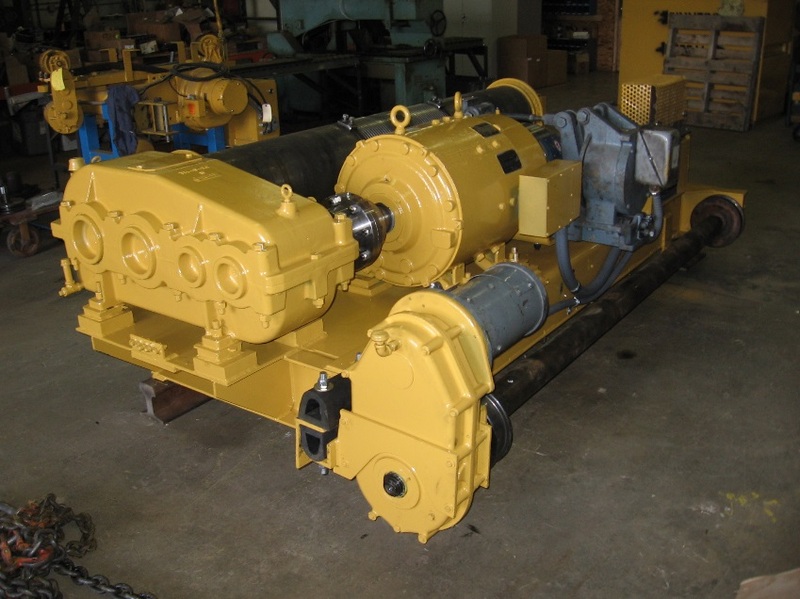 Below is just one example we have of equipment we have rebuilt over the years. DC equipment is becoming increasingly more difficult to find replacement parts for. 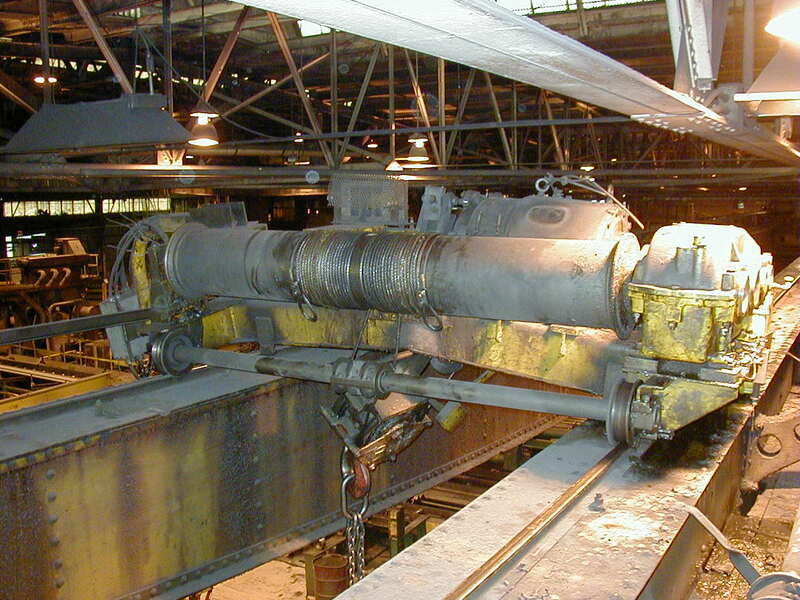 DC hoists are known for their rugged construction and reliability but when a hoist limit fails, you can see what can happen. This was the result of a "two block" where the lower block runs through the upper limit switch and the hoist motor will continue to run. This can result in serious damage to the equipment. The trolley frame had to be straightened, the gearbox was cracked and had to be repaired and all of the mounting feet on the trolley had to be milled flat so that everything would bolt up and be in alignment. We worked with our customer to make repairs to the hoist and get them back up and running as quickly as possible. The hoist pictured on the right is how lit looked before it left our shop. Yes, it's the same hoist. This is an example of the kind of rebuild or refurbishment that we put out of our facility.